First impressions are everything. 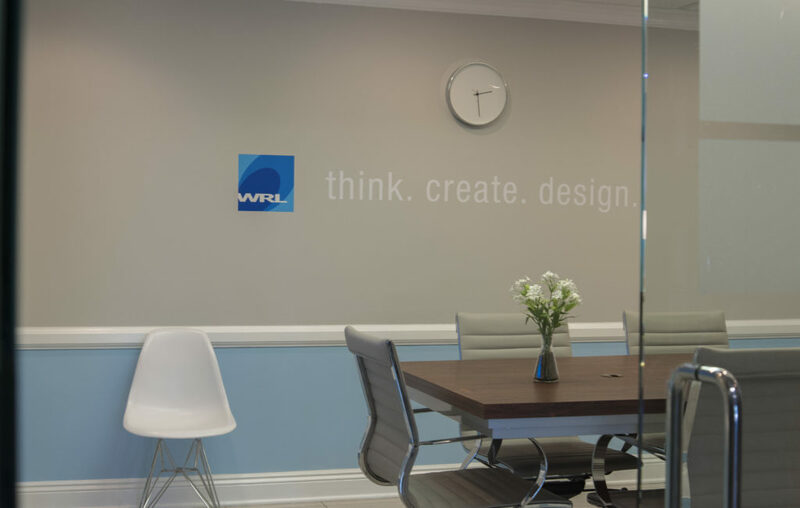 Our clients know and trust that WRL will always deliver high quality and innovative work from our expert team – a team who is dedicated to maintaining strong, long lasting customer relationships. However, while we have always put our clients and their project work first, as a result, our office space fell to the back burner. But here’s the good news – we’re finally prioritizing ourselves as well as our customers, and have made some big changes around here. 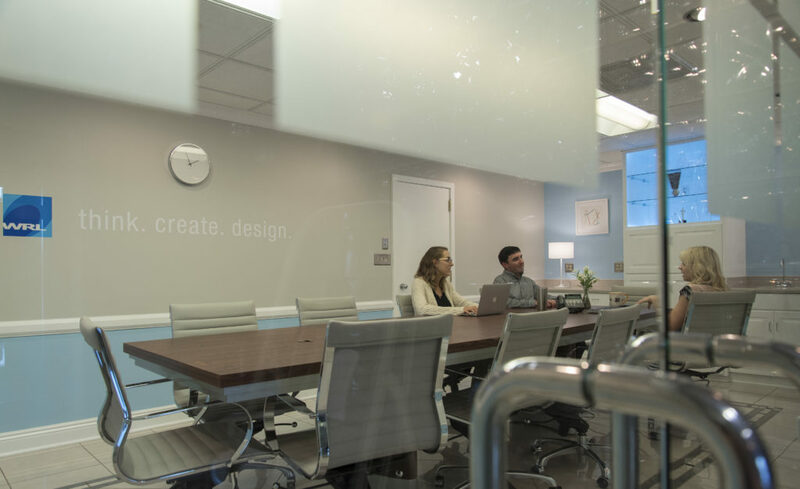 No more are the dated orange conference room chairs and blank white walls thanks to the WRL Interior Design Team led by resident creative director, Norio Saneshige. We completely revamped our home away from home and are excited to show it off. The project began a little over a year and a half ago, first bouncing ideas off each other at the creative conceptual stage and then progressing all the way to the finished product you see here. As of July 2017, our collective dreams of a modern space finally came to fruition! When you first enter, both of the rooms feel even more bright, positive and inviting in person. Furthermore, an area in the main conference room worth significant mention is the back wall. 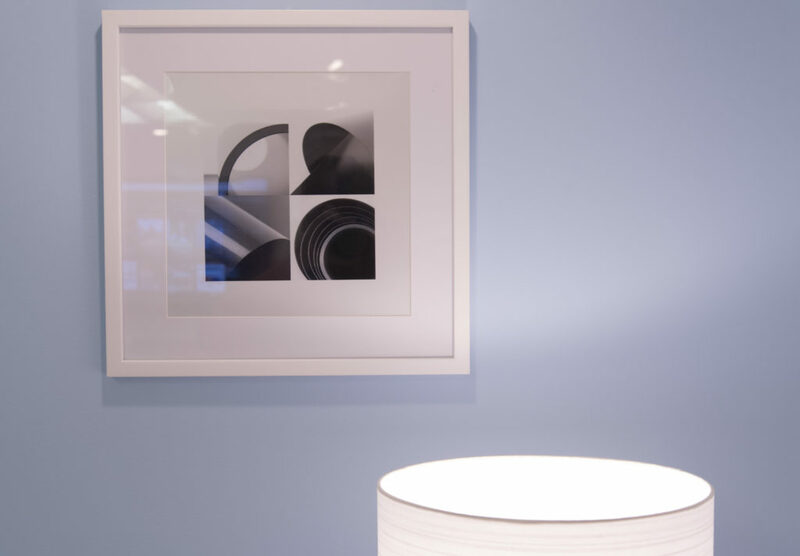 Nestled between two modern lamps and expertly crafted abstract artwork of Stark County’s railways and industrial photography by WRL’s finest, is an illuminated showcase of our agency’s awards. While remarkable, our awards aren’t the first thing to catch your eye in that case – it’s the ephemeral, multi-colored lights that captivate your attention. Their vibrant shades of blue, red, purple, green, white, yellow, etc. are a perfect metaphor to what and who we are as an agency. We’re bright, loud, unique and eclectic, but can be both timeless and enduring at will. We highlight our different colors in our diverse skillsets, but we also are chameleons who morph to any challenge and to our clients’ needs. We come together to form a beautiful kaleidoscopic of humans and creative thought. Our team is unlike any other you’ll encounter, and that’s the remarkability of how we thrive. 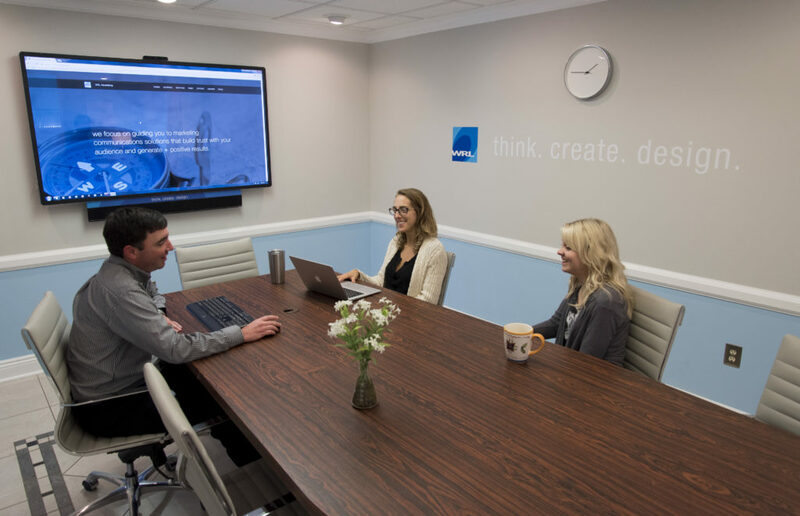 The vibrant collaboration, the eclectic company culture and the enduring effort each and every employee puts into his or her work is what makes us, us. At WRL, you’ll gain a loyal partner in your career and perhaps a new friend in life. While the final design didn’t come without some passionate discussions, we’re happy to say that we’re extremely pleased with the finished product. We hope you will be too! So come see us in our rebranded office and let us Think.Create.Design. for you. Contact us today!